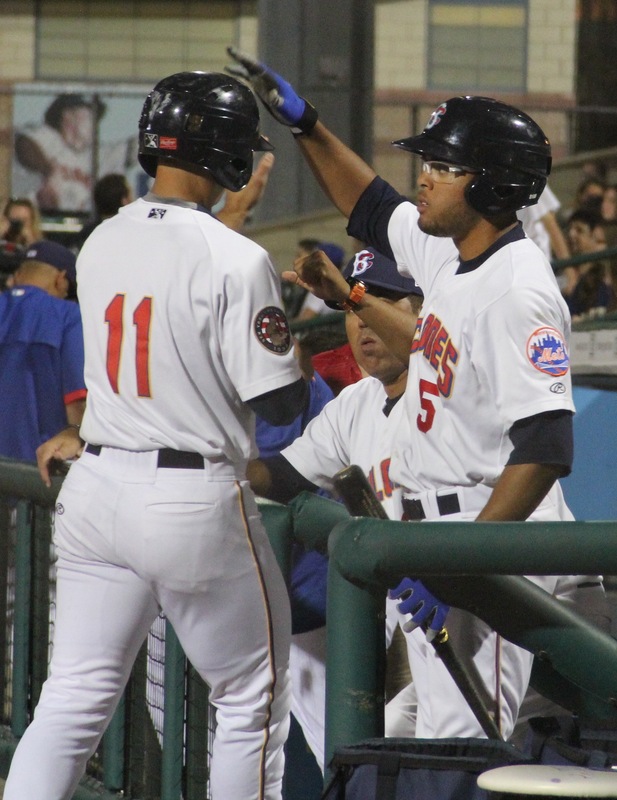 The good news for the Brooklyn Cyclones was that they wer eable to snap out of a 22-inning scoreless drought against the Aberdeen IronBirds on August, 28 ~ The bad news is that the team lost another tough game by a final of 5-2 in New York-Penn League action. Things have certainly been a struggle for this Cyclones team, who have always had the pitching just not the offense to back it up. One of the bright spots as the season hits the final last few days is that Desmond Lindsay is now with the team and able to develop under the bright lights of Brooklyn. Lindsay was selected by the Mets with the 53rd overall pick in the 2015 MLB Draft. Helping to snap the Cyclones 22-inning scoreless draught was a productive inning that started with a walk that worked by Vinny Siena, that was followed by a single by David Thompson to put runners at the corners. Jeff Diehl hit a sacrifice fly that plated Siena, and allowed for the Cyclones to snap the scorless skid. In the Fifth Inning the Cyclones were able to plate a second run as Alfredo Reyes brough home Hengelbert Rojas with a single. Rojas had a hit earlier in the frame and reached Second on a ground out by Branden Kaupe. Making his debut for the Cyclones was Raul Jacobson who worked out of a Seventh Inning that had runners at the corners, the righty held off the IronBirds allowing just two hits. Brooklyn will look to play spoiler in the last of this three-game series with Aberdeen on Saturday, as Tyler Badamo will take the hill on Military Appreciation Night at MCU Park.